This year for the first time the Final was held at Nottingham Bowl, the home of the Northern Bowlers Club. So would the South manage to retain the title on the away turf. First event, the team event, saw Sarah's team of Kirsty, Chris and Alex slot into third place, helped along the way by Sarah's impressive 691 set(with 257 game), so a good start for the South. 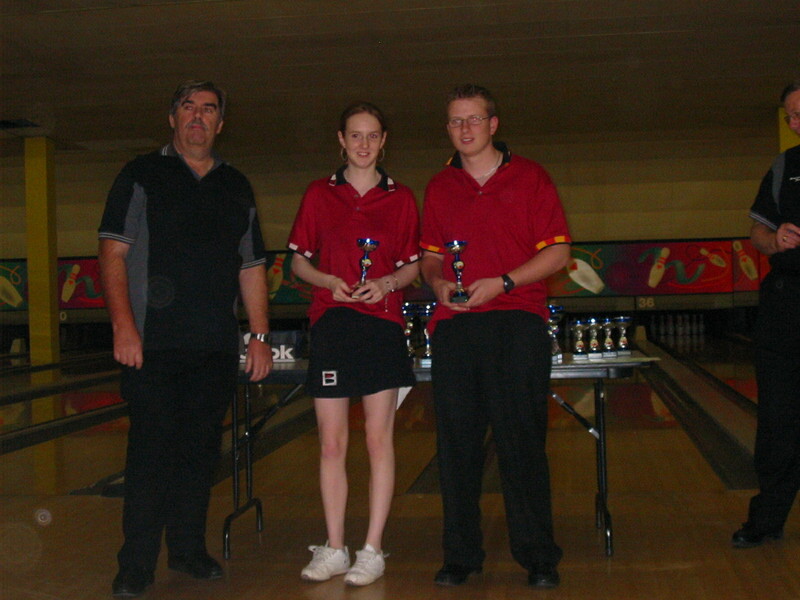 To the Doubles next, and this time Sarah was paired with Martin Ashton and once again they took the third place spot, with Martin bowling a great set. Top three from each division then go through to the single round robin stages. David K went through in 2nd place in Division A on an impressive 217 average over his 6 games, and no real surprise that Sarah was leading Division B on a 207 average. Elliot qualified for the round robin in 3rd place, but had to withdraw due to thumb damage, and Mark was the unluckly fourth place bowler for Division B, having bowled a consistent 182 average over his games. THE CLOSEST FINAL YET ! In the round robin singles Sarah's first match was against Chris B from Croydon who she has lost to in the Southern BC this year, and was determined not to lose again! So she opened with a 240 game to make sure. 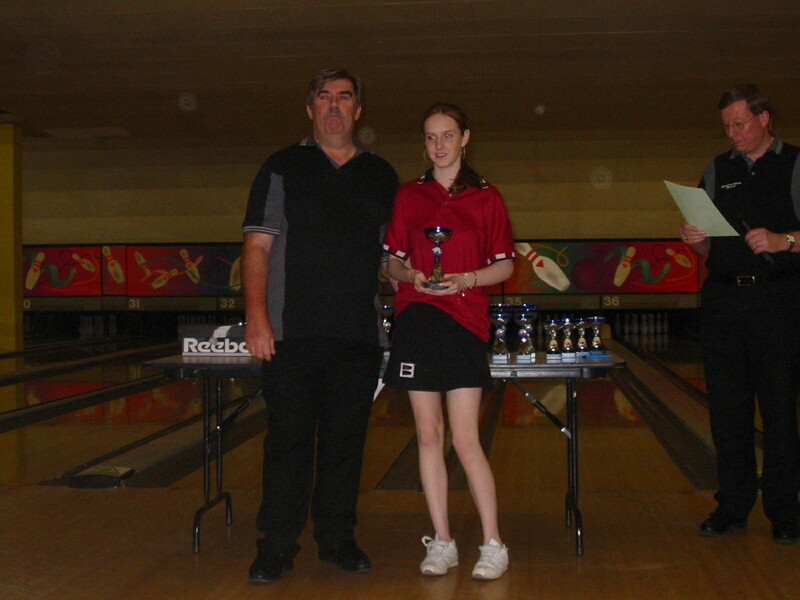 She went on to win all her matches except the last to take the Division B title bowling a 217 average. 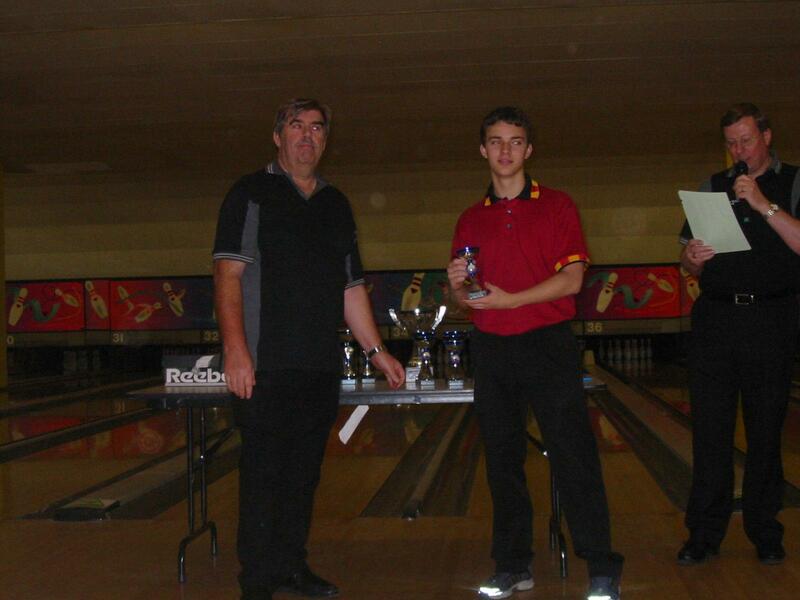 David K bowled really well against some tough opposition in Division A and finished a well deserved third place. So well done to all. 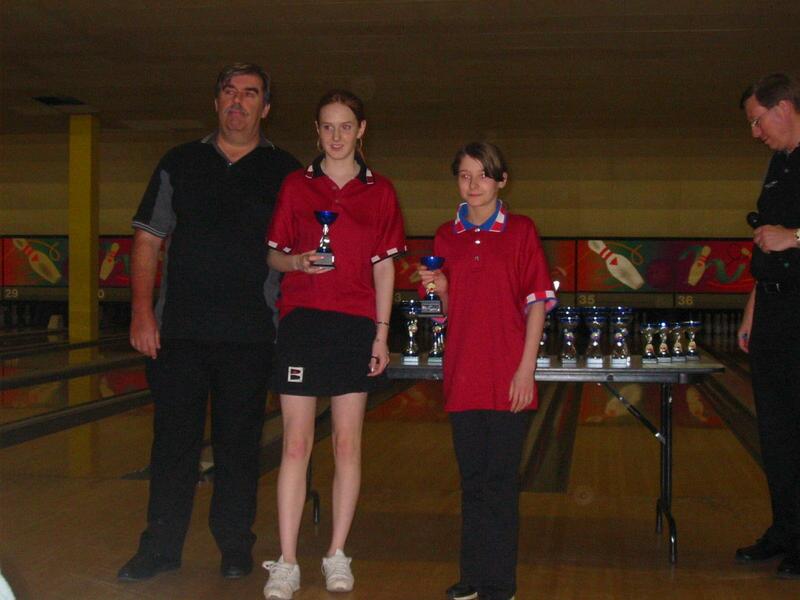 Bowlers Club hope to run the event again next year, once they can sort out dates that dont clash with the Junior Tour, so look out Dunstable, we'll be back.